I was cloth diapered as a baby, so I always assumed I would do cloth, too. Except my mom and all the other women from the 80’s and down-- they are the REAL cloth diaperers, when it wasn't convenient or easy or cute. I’m like the fake version. They used prefolds and pins and rubber pants. No, thank you. I have attempted a prefold with a pin before. When I picked up the baby, the diaper fell off. Thank goodness there are gobs and gobs of user-friendly choices these days! I chose cloth for a few different reasons… First, there are very few chemicals in cloth diapers. If you haven’t already, you can read about my sluggish transformation and stance on chemicals here. They’re healthier, more breathable, and there’s less diaper rash. Win, win, win. Second, it’s cheaper than spending money on disposables that go into the trash. Honestly, I would’ve cloth diapered if it was more expensive, but it just happens to be a bonus that it isn’t. Third, it’s like an accessory. I can literally match her bows with her diapers. Enough said. J Fourth, I’m definitely no environmentalist. However, the thought of all that bacteria and chemicals inside of disposables being placed into the ground where they sit, get into the soil, it rains and creates run-off which reaches the ground where my food is grown-- that whole idea just grossed me out in ways I can’t explain. I didn’t want to be a contributing factor to that. Last, I don’t wear paper underwear. That doesn’t sound comfortable. Cloth diapers are just softer and made sense to me. Abi Kate was 5 or 6 weeks old when we started cloth with her. We waited a few weeks for a couple reasons…. 1. I ordered her diapers from a small company that is sadly no longer in existence. Even though I ordered the week or two before she was born, they didn’t arrive until she was 5 or 6 weeks old. 2. If you’ve ever breastfed, you know what the first few weeks look like. It’s literally a diaper change every time they eat, which is about every 2 hours. That’s a lot of diapers every day and therefore, a lot of laundry. I was afraid I would stress myself out by having to do laundry in those early weeks. “Gross! Poop in a cloth diaper!” -- Ok, this one usually comes from people who aren’t parents or who haven’t changed many diapers. Honestly, it’s really not nastier to deal with poop in a cloth diaper. For one, it smells less because there’s no chemicals in cloth like there are in disposables. No poop interacting with strange chemical concoctions to make a bad smell worse… Second, with a cloth diaper, poop goes in the toilet and is flushed away (which is where it belongs in my opinion)-- It doesn’t sit around inside your house or your baby’s room in a pail for a week or until the trash goes out stinking the room up…. Also, if your baby has ever had a diaper explosion that’s gotten on their clothes, then you’ve done far more work at cleaning cloth than you’ll have to do when cleaning poop out of a cloth diaper. If it was that nasty, I wouldn’t do it. Trust me. Back when I was a baby, they soaked dirty diapers in a wet pail. I’m too much of a germaphobe to get ok with that one. Insert the diaper sprayer for the faint of heart, like myself. You don’t touch anything, spray the poop away, and it is gone and out of your house. “They’re expensive” -- Depends which kind you pick. Either way, top line or not, you’re likely going to save gobs of money. Use your own cloth wipes and you’ll save even more (I know-- this grossed me out, too until I realized she gets MUCH cleaner with these than with a disposable wipe). The average American spends $1,000 dollars per year on disposable diapers. Most kids are in diapers until 2, some longer (especially at night). I have a stash that is much larger than I need (because I’m addicted- I told you! ), and it cost me about half of one year’s worth of diapers. And mine can be reused with subsequent children. See, they’re looking better and better aren’t they?! ;) Of course, I tend to prefer the ones that are more expensive. Story of my life. I wish I could love those 5 dollar pocket diapers, but I just can’t. I like American-made and that means a higher price tag. Even with my preferences and stash size, I still have spent around 60-75% less than the average person spends on disposables per child. “It’s so much laundry”-- Yes, it is more laundry. But not so much more. Some people pay to have a diaper service clean their diapers. I prefer to do my own. The diapers stay in my care and are used with the type of cleaner that I want. (Control issues, anyone?!) And I save more money. I have enough diapers now to last me about 4 days maybe 5 without doing laundry. Unfortunately, my diaper pail only holds about 2-3 days worth of diapers. ;) Honestly, I think it’s gross to leave them sitting for longer than that even if I could, and it’s not good for the diapers as it can cause build up. So on average, I do about 2 more loads of laundry than I used to. And guess what else- -I LOVE doing diaper laundry. When all those diapers are hanging up to dry over my washer, they look so lovely. I’d rather wash diapers than towels any day. I’ve tried a variety of systems. All-in-Two (basically any diaper system that has two parts, but goes on as one piece once stuffed). Pockets- Overall, these are a favorite. We use pockets for quick diaper changes, daytime, whenever we go out anywhere because they’re very convenient, and sometimes overnight. I prefer aplix because I feel like it gets a better fit. I know tons of people of LOVE snaps on their diapers. I’m just not a fan. Aplix is easy-- everybody can do it, it’s just like a disposable. I also prefer more natural fibers like bamboo or hemp(and not because they’re “natural”.) Their absorbency is almost always bullet proof for us as Abi Kate is a super heavy wetter, and they are more trim than microfiber inserts. Fitteds/Cover- These are another favorite.I use fitteds while we’re at home during the day (not for going out anywhere) and overnight. They have great absorbency for nighttime and rarely do we have leaks in the morning. I don’t have to stuff them heavily like I do pockets for nighttime sleeping. Fitteds are where I splurge the most. ;) I use a variety of covers-- most are aplix PUL covers which makes them waterproof. At night, I prefer a fitted with a fleece soaker. They’re more breathable. And bonus, my friend Rachel makes them! Prefolds/Cover- I have a few prefolds because I’d feel like a fake cloth diaperer if I didn’t. I can fold a prefold ok. Now they make Snappis or Boingos-- goodbye scary diaper pins. But I just never could love these. I use the same aplix PUL covers over these as I do my fitteds. Some of the covers I have allow it to become a hybrid or all-in-two. Basically, I lay the prefold down flat in the cover, no folding or pinning. The cover has material that holds the prefold down, and then I just put it on all as one system. These are kind of my backup. I have friends that used only prefolds and can fold a diaper in their sleep. Impressive and much more economical-- I’m just not skilled enough with my wiggly baby! All-in-Ones-- I started off with these, only 12 of them. Loved them, and then found other diapers that I loved more. I prefer One-size diapers. Yes, that’s right--the same diapers that fit Abi Kate at 5 weeks old fit her now at 1 year old and will continue to grow with her. This is part of the reason why cloth diapering is so economical in my opinion. Another benefit-- when I’m done with a particular diaper, don’t like it, etc. I can sell it and recoup some of my cost. Can’t do that with a used disposable! In fact, at one point, my all in ones started leaking, and I was itching to try new diapers. So I sold off about half of them and used the money I made to buy new diapers. The whole laundry thing that scares lots of people has become very simplified in my opinion. Most websites and companies tell you not to use detergent with this, that, or the other, use only so much, etc. Here’s what I’ve found- laundry is laundry. You’re washing cloth. If they stink when you take them out of the wash, they aren’t clean. Use more detergent, just like with regular clothing. I’m really picky about the detergent I use anyway, so I prefer not to use detergent that has enzymes, optical brighteners, and scents anyway. Some people won’t do diapers without a detergent containing enzymes. It’s just personal preference. A big deal is also made about how you wash them too- the number of rinses, wash cycles, air dry/dryer etc. I’ve found it depends on your diapers, how hard your water is, and the type of detergent you use. I’ve tried several different wash routines and I know what works for me best now. It’s really just trial and error. The long and short-- it’s just laundry. Don’t stress over it. And when you want to get stains out- put them in the sun. It naturally kills stains, germs, and stink. This is the secret: find a friend who has clothed before you. 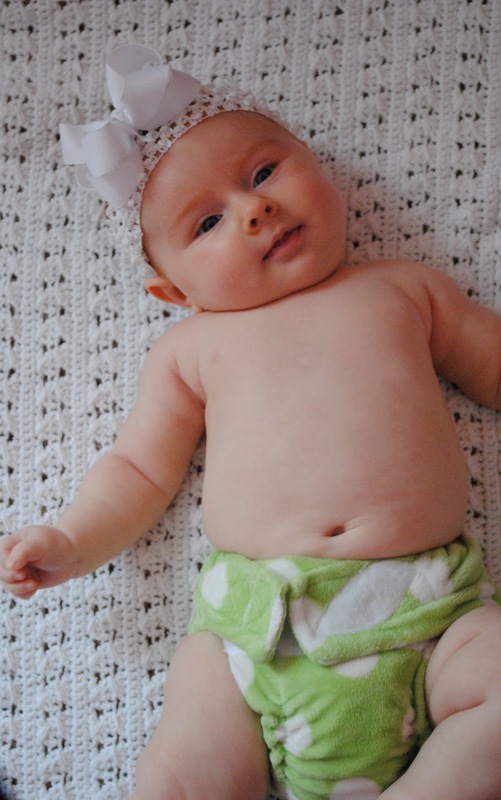 My friend Rachel started cloth diapering her daughter a few months before I had Abi Kate, so I was able to ask her, “Do you think I really need this? How many diapers do you think I truly need? How do you wash covers….” and on and on. You’ll find a thousand different reviews online, but I think it’s easiest just to trust the opinion of someone you know. My sweet, chubby 3 month old. P.S.- this diaper still fits. And the photo is courtesy of Jen Turner Photography. Baby Legs and cloth diapers are a perfect match! Matching!! Pampers have no appeal after this!! Look at that fluffy heiney... Love it! OMG I am so interested in this whole idea, except I don't think Zoey's daycare supports it, so I'd be spending more money in the end if I'd still have to plow through disposables at daycare. 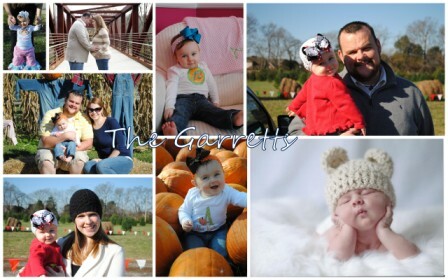 =/ It's been on my mind for baby #2 though. Here's to hoping Z just potty trains soon... I hate diapers! Go, Zoey, Go!! I think you'd still save money either way if you wind up doing them. There's a lot of women who cloth diaper part time for the same reason you mentioned, but they're only buying disposables for daycare and that's it. You don't have to spend as much on a stash because you aren't drilling through as many cloth diapers a day either. I've never done the math, so it might not work out, but then again maybe it would and save you money!